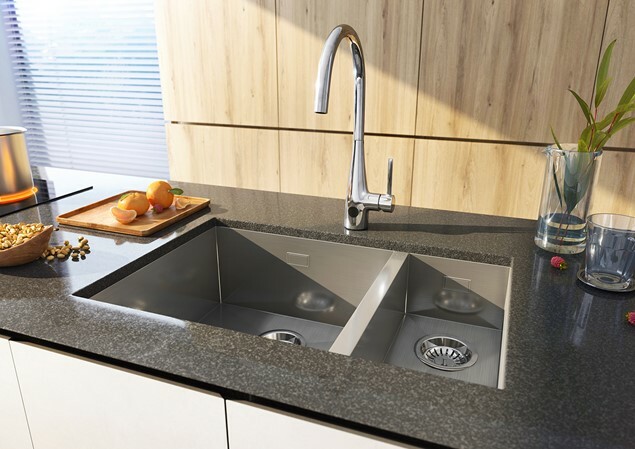 This chrome kitchen mixer with on/off sensor is the latest addition to the stylish Cucina Kitchen range. 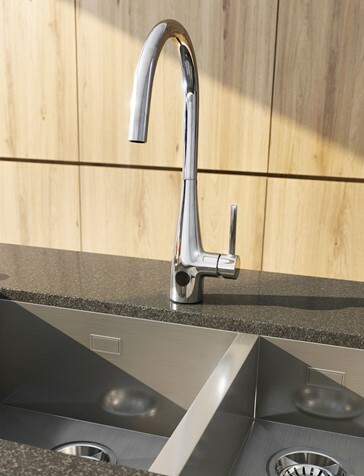 A single mixer handle with elegant swan neck design, high spout for easy filling of large saucepans plus the smart on/off sensor enabling hands-free operation. Perfect for situations where you need to wash your hands but might not want to contaminate the mixer handle – for example when preparing chicken. 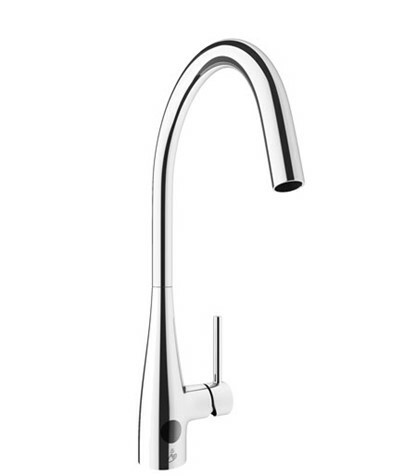 Please note: The sensor only controls the cold water feed meaning you cannot get hot water via the sensor mechanism.